27th Convergence India will be from 29th to 31st January 2019 at Pragati Maidan, New Delhi. 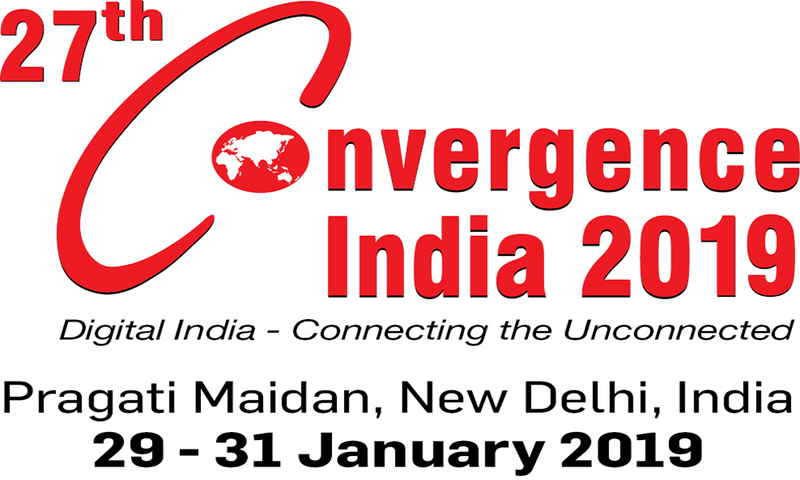 South Asia’s largest ICT expo, Convergence India will be held from 29th to 31st January 2019 at Pragati Maidan, New Delhi. The expo will feature Telecom, Broadcast, Cable and Satellite TV, Cloud & Big Data, IOT, Digital Homes, Mobile devices, Film and Radio, Content Creation, Management, and Delivery, etc. This event will take Prime Minister Narendra Modi’s vision of Digital India ahead, thus resulting in empowering the citizens of the country by transforming the landscape of Indian economy. This three-day exhibition provides an excellent networking opportunity for speakers, visitors, and delegates. This platform attracts high-quality exhibitors to showcase their expertise and identify the thriving business opportunities in India. For more information contact 91 11 4279 5035 or drop a mail at pramitk@eigroup.in.